Heat oven to 180 degrees Celcius (for fan assisted ovens). Slice each pitta in half so it separates into two thin pieces of bread, then cut into strips or wedges. Drizzle oil onto the strips. Cook in the oven for 10 mins until crisp, then leave to cool. 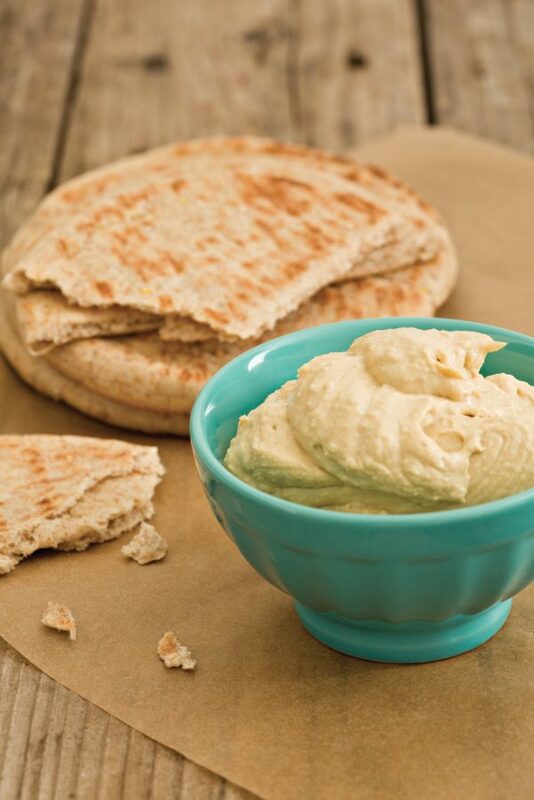 Use the Houmous as a dip.